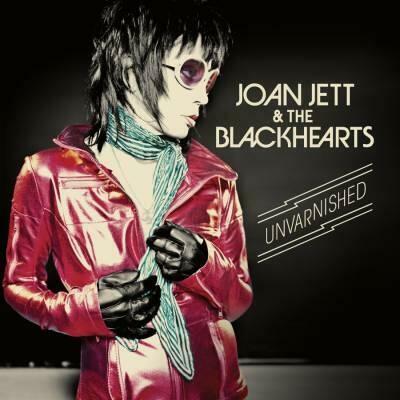 [VIDEO]: NEW Joan Jett song with Laura Jane Grace! Last night, Joan Jett and the Blackhearts performed in Ocala, Florida, and Laura Jane Grace from Against Me! joined them onstage to perform a BRAND NEW SONG – “Soulmates to Strangers.” Laura Jane wrote the song for Joan, and this is the first time The Blackhearts have ever performed it. I love it already! Thanks to Jeanne (@rhiannon224) for filming this! Joan also performed “Fragile” and “Make It Back” last night, so I’ll put those in here too. The Blackhearts have performed these before, but they’re the most recent additions to the live set. Enjoy! This entry was posted in Videos and tagged Joan Jett, Laura Jane Grace, Video of the Week. Bookmark the permalink.